It was a Sunday and i made a trip to the Pek Kio Food Centre at Cambridge Road for Grit at Pek Kio, a western food stall there. I did not quite expect it to be closed on that day as there was no such announcement on their facebook page. I actually made an effort to check it before i travelled there but there was a notice pasted on their shutter to announce their closure on that day though. I will have to look for an alternative then, some stalls were closed on the Sunday and the remaining stalls, most of them have a short queue apart from the longest queue spotted at Wah Kee Big Prawn Noodles. I walked around for a bit and decided to join the queue at Lai Heng Pork Ribs Prawn Mee. 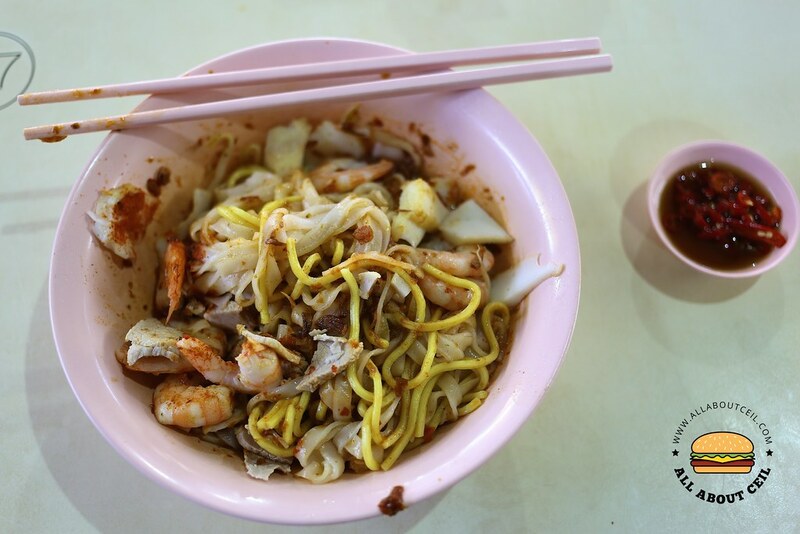 It was 1.20 pm, the mee pok and mee kia have already sold out so left with just bee hoon, yellow noodle and kway teow. I counted and there were 9 people in front of me and i waited for about 15 minutes to order and another 5 minutes for it to be ready. 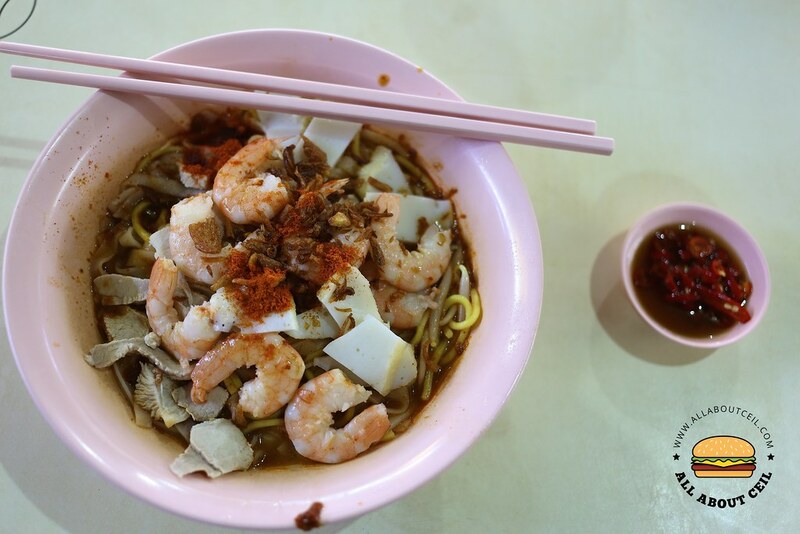 There are 3 pricing for the Prawn Mee, starting at $2.50 then $3.00 and $5.00. I went for the $5.00, expecting to have pork ribs added. I opted for a mixture of yellow noodle and kway teow, requested to have extra chill. 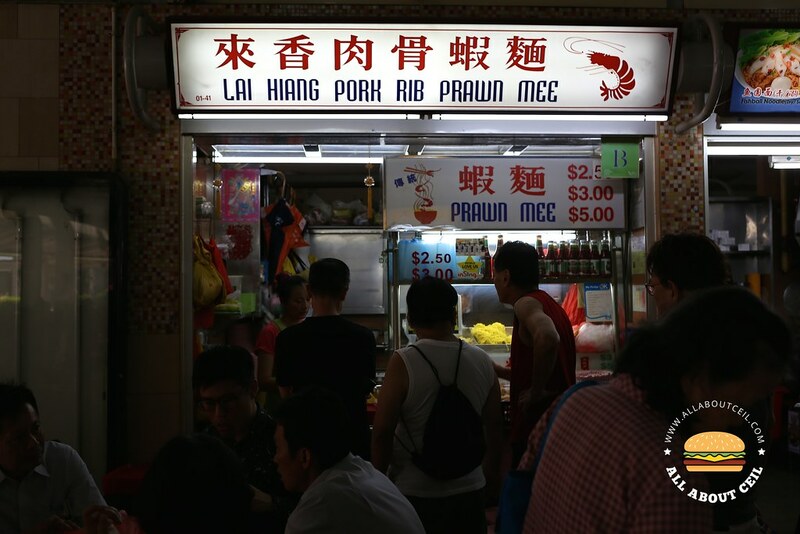 It was quite a big portion serving with ingredients like slices of fishcake and lean meat with quite a few pieces of deshelled prawns but there was no pork ribs. I guess you have to specifically tell what type of ingredients to be added or else, it will be just a bigger portion with extra fishcake, lean meat and prawns. I added with a bit of dried chilli powder that is available for self-service at the counter. To start, i tossed it well to have the noodles nicely mixed with the sauces and dried chilli powder. They actually overcooked the noodles particularly the kway teow, the texture was too soft so after tossed it, it was broken into shorter pieces. It tasted quite normal even with the extra amount of chilli added, it did not quite enhance the flavor. Perhaps that is the reason why most of their customers actually ordered the soup version. Their standard could not quite compare with the famous Wah Kee Big Prawn Noodles at all and that somewhat explained the forever long queue right there.